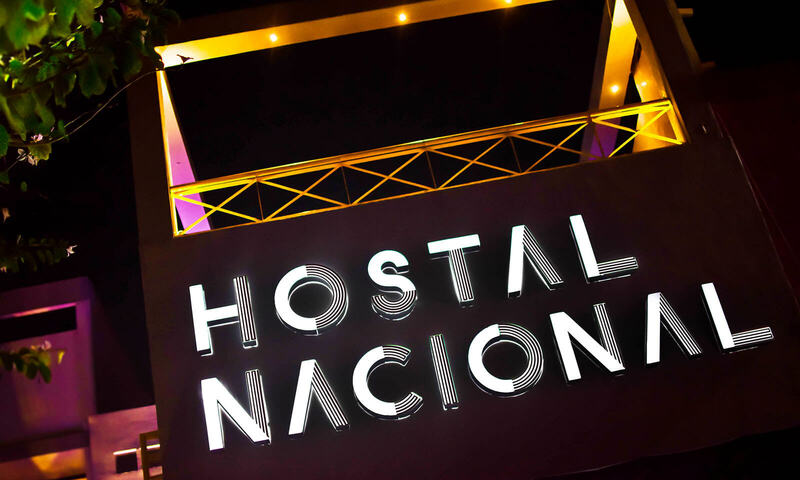 Hostal Nacional is the perfect accommodation for 21st century backpackers and international travelers in Guadalajara, Mexico. Given the the project’s turn, it was very important for the graphic identity to be sufficiently clear and friendly to capture the attention of the international market. This project was all about contrast; modernity vs. tradition. The logo is inspired by the Art Deco movement, present in Guadalajara during the 1940’s through different architectural manifestations. The color palette was selected based on the colors of the hostel interior.